We are all well into the New Year, grinding away at our careers and personal pursuits but for those of you from South and East Asian families know, we get to ring in the New Year twice. This year’s Lunar New Year fell on February 16th and celebrations included gathering family and friends together for a bountiful feast, kids eager to collect red envelopes, people dressed in red and jade for good luck, and local community celebrations like traditional lion dances, paper lanterns, and firecrackers. 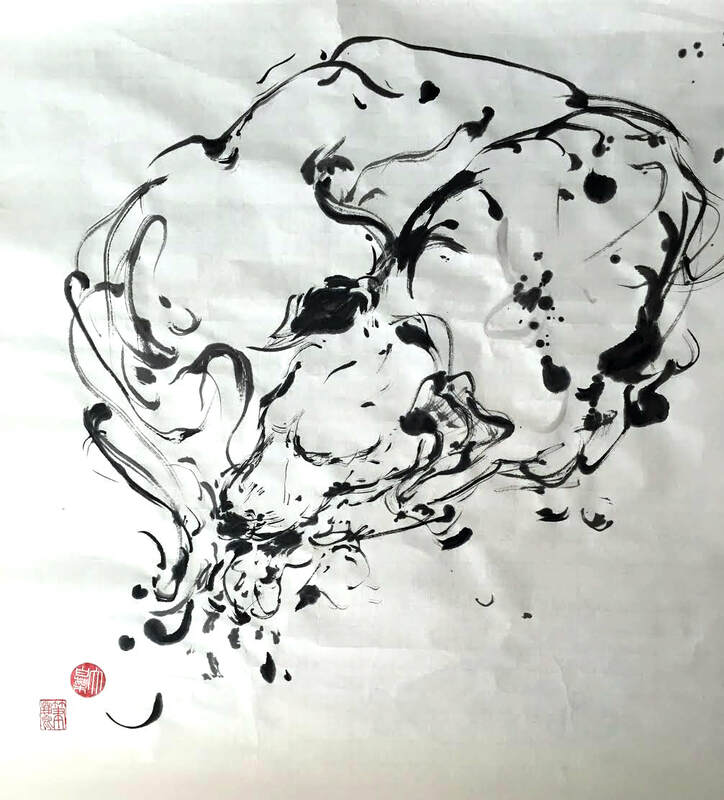 In celebration of the New Year, Chinese-American artist Anita Yan Wong developed a series of abstract ink paintings called Year of Dog that defies what can be considered traditional or contemporary. Culminating from her illustrious career as an artist and professor, her classical training in guóhuà and Western art has fostered a style that seems both familiar in traditional technique, yet unique and almost indescribable at the same time. The seasoned painter started her artistic path at the ripe age of five. Born in Beijing, she moved to Hong Kong as a toddler and wasn’t the most social kid growing up. While other children played on the playground, she preferred to draw. Her mother brought her to Hsin Pengjiu, a Chinese painter who was one of the first pupils of Chao Shao An, a highly respected Lingnan-style Guo Hua painter in China. Under the tutelage of Hsin Pengjiu, she honed her skills in Lingnan-style guóhuà. Her mother then found her a more Western-style painter, with whom she learned foundational techniques like sketch and watercolor. Anita later attended Hong Kong Polytechnic University where much of their art department focused on modern applications of art. As a result, she rationally assumed she would pursue a graphic design career despite her passion for fine arts. She wanted to further her skills in Western painting and design so she left Hong Kong at age 16 and moved to London where she attended Central St. Martin and obtained her B.A. in Graphic Design. 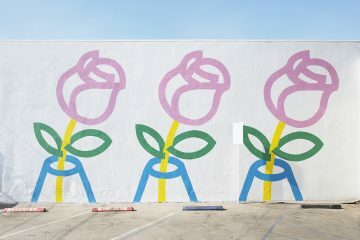 The well-traveled painter then went on to obtain her M.F.A. and M.A. in Digital Photography and Digital Arts from Maryland Institute College of Arts (MICA). She later became a professor at MICA teaching electronic media and culture, as well as photography and interactive multimedia at Temple University in Philadelphia. Evidently, she was constantly busy either teaching at both schools or commuting between them and that left very little time for her to pursue her own artistic needs. 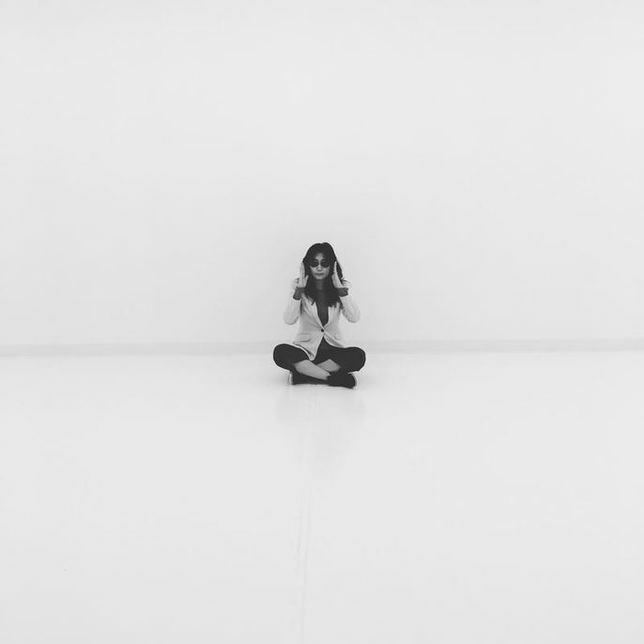 Although she participated in some art shows here and there, it didn’t allow her to fully immerse herself into fine arts, which continued to fuel her creative desire. In 2015, and after over ten years of being a professor, she decided to leave teaching to pursue being an artist full-time. As a professor, Anita taught her students the tools to pursue their artistic dreams, and now as a full-time artist, she creates art that speaks to and inspires the younger generation, yet follow her roots in fine art. I sat down with the skillful painter to discuss the inspiration behind her painting style, her latest addition to her abstract ink painting series, and exciting upcoming projects. In this series, as in all your work, your background in Lingnan style guóhuà and Impressionism shines through. It can neither be described as modern nor traditional. Its Chinese style is familiar to people, yet simultaneously uncommon in current practice with your modernistic twist. What about these two styles made you think that they would work well together? How do they play off each other? So about two years ago, I felt lost, in the sense that I didn’t really know where I was going with my art. I also didn’t want people to categorize my work as traditional, modern, nor contemporary. I felt like labels limited an artist and I got kind of offended at times when people tried to define it because it felt like they were trying to define me. I can’t even define who I am so how could they? Having moved around my whole life from Beijing to Hong Kong to London and now [the US] I feel like my identity was kind of [enigmatic] and the only way I could really see my soul and identity was and still is, through my art. When I look at my style, it reflects a mix of everything I’ve experienced. So, I was feeling kind of lost and I started meditating. Monet’s Water Lillies appeared in my mind and I started seeing the similarities between that Impressionist style and guóhuà. In guóhuà especially with Buddhism, you often see lotus imagery is and when I looked at the similarity in [flora] and importance of brushwork in Impressionism, it kind of all clicked for me. Artists in the 19th century, at the pinnacle of these styles, used their brushwork to express their subject matter and the suffering they must have personally gone through during those time periods to transition from realism and to something more modern. I related to those artists’ struggles of not wanting to be trapped in old tradition nor following a modern trend. Who were some artists that made an impact on your work? Overall, I try to not let myself be too directly influenced by any particular artist because I’m trying to develop my own style and I don’t want to follow anyone’s footstep specifically, however, there were definitely artists that inspired me when I was younger like Chao Shao An. He created Lingnan style paintings and his pupil was my teacher so I definitely have that style in my work. Louise Bourgeois was another one I admired. The first time I saw Louise Bourgeois’s work I was in London and I saw her Spider sculptures. The black inkiness of them looked almost like Chinese ink paintings but sculptural and I related to that. The spider didn’t even really look like a spider, more abstract, which I liked. Like mentioned previously, Monet’s impressionist work has always inspired me and recently I’ve been looking into [Edvard] Munch [and expressionism]. Everyone knows The Scream but [it’s fame] is partly what I don’t like about it. A lot of times when we look at [famous] artwork, it’s online, print or copies and not the original work, the feeling for that piece of work gets lost and might not be how we actually feel about it or the artist’s intention. Outside influences might affect your opinion or conclusion about the piece. What I do like about [The Scream] though is thinking back on the time period in which he painted it. He must have suffered a lot during that period and those feelings must have been channeled into his work. Making art is almost like talking to your soul without the need for words and that’s also why I’ve recently been inspired by expressionist painting but again, not directly influenced by them. 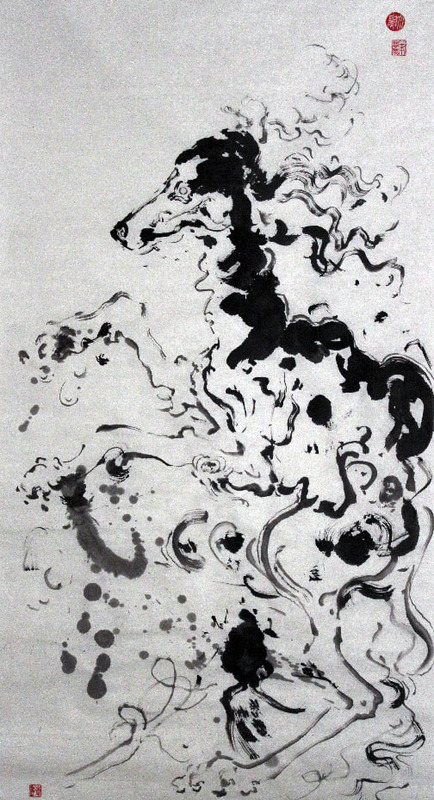 What was the inspiration behind creating this Year of the Dog ink painting series? I’ve always loved animals and nature deeply inspires me. This new year is the dog year and me being Chinese, I wanted to paint dogs to celebrate Lunar New Year 2018. I haven’t been back to Hong Kong and China for so long and this has been my way to reconnect with the culture. The whole project is under Abstract Ink Painting and this is the Year of the Dog addition to that series. Initially, with the series, it started with tigers and I called it Hunt. I was watching a nature documentary about how tigers in the wild have disappeared. Looking at [the relationship between] tigers and hunters and it inspired me to call it Hunt which is meant to be a sort of double meaning. 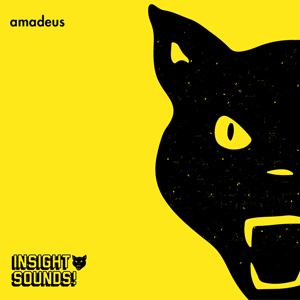 Is the tiger the hunter or being hunted? Tigers are one of the largest, most powerful animals but because they share the same environment as us, they’ve become the victim. After I watched the documentary, that really stuck with me and made me want to release my feelings for them into those paintings which is why when you look at their eyes, they’re all wide open. At first, I wasn’t aware of it but my friend, another artist, actually pointed that out and asked, “How come all your tigers look like they’re in shock? Their eyes are so different compared to what you see in other Chinese paintings.” It was because [I wanted to show that] at that moment, the tiger was in shock so the wide eyes allowed you to almost see inside tiger’s soul. After that, I started to use that eye expression in all my other animals paintings including the dogs. The larger scaled dog paintings share the same wide open eyes. I feel like that’s my signature now. I’m trying to stay away from realism so I didn’t paint in the eyeball or reflection. I feel comfortable in that style and I feel like it belongs to me. I haven’t really seen other painters doing [eyes] like that and I think moving forward, I probably will paint more animals in the same style and see how it goes. I feel like sometimes less is more. [Doing too much] might take away from the soul [of the painting]. Besides Year of the Dog, all your art pieces require rigorous careful planning, can you describe that creative process and the reason behind your meticulous planning? The brushwork is [crucial] in my paintings and I try to use just one large brush to finish the whole painting. It’s a large brush but I can do so much with it. I tend to paint in larger scale now too so with the large brush [Bǐ], I can move my whole body and be free in motion. In guóhuà, you have to use a brush, ink (usually black), and rice paper. Rice paper is very thin and different from what you would use in say, watercolor. In guóhuà, you have to picture what you want to paint first because once the brush touches paper, you need to move quick. There’s been many projects that I’ve trashed because of one wrong stroke. One mistake and the whole painting is ruined so planning takes me the longest. Sometimes I’ll just sit there planning, online browsing, watching a documentary or going to the zoo to brainstorm. I can’t force myself to paint. If I try to force myself to paint, it just doesn’t happen. So when I feel like painting, the second step would be just going for it and the actual painting is really fast. For the dog series, I finished within a week. Each [individual] painting took me about 15-30 minutes and the smaller ones took 5 minutes. It’s not Photoshop where you can push an undo button but luckily I’ve been painting and practicing since I was 5 years old so I could do paint in about 10-15 minutes. It’s just research that definitely takes the longest time. Has your approach to this series changed or stayed the same compared to your other work? I think overall [the process] stayed the same, just this time I [researched] dog portraits and how people view dogs. Similarly to cats, dogs have been domesticated over the centuries and are man-made and not as wild anymore. I watched a documentary on wolves and I felt like a lot of things that we celebrate tend to be marketed or commercialized to an extent and dogs have been sold almost as an idea of a good pet but they also have a wild side. Something I did with this series is attempting to capture the dogs’ natural movements and form. I felt like in photography with animal subjects [like in] National Geographic or some famous oil paintings, there was more focus on capturing a still, handsome portrait rather than the animal living in its environment. Look at birds; they jump or fly around, never really still. Animals are always moving and dogs are energetic [beings] so I wanted to capture that in this series. 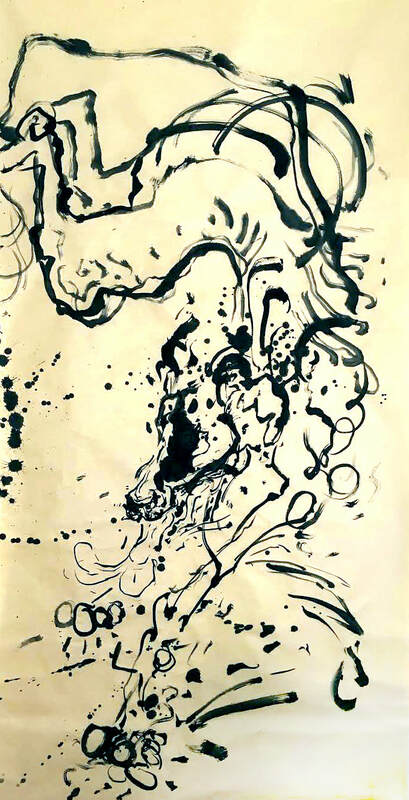 Especially with the first [dog painting], you can see the dog is trying to dry its fur off so I made the ink splattered out of the dog to show water being shaken off. I focused on capturing their energy, movement and [my view] on dogs. 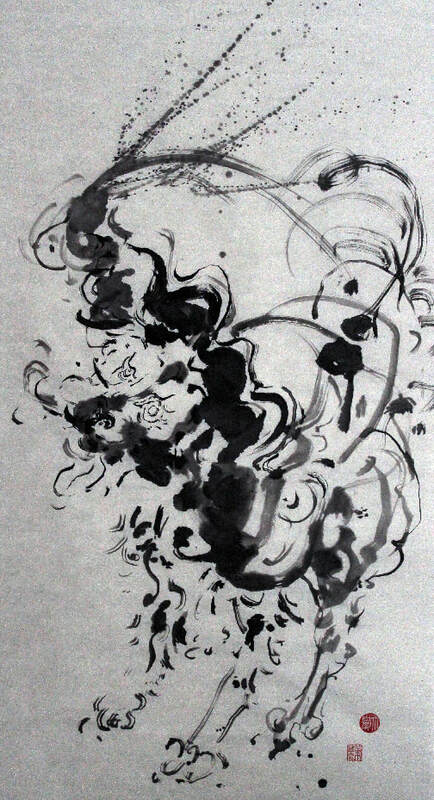 What do you hope audiences would learn or take away from this dog ink painting series? I feel like my mission as an artist is to create something that will speak to the younger generation. I want people to see the brushwork. I want people to hold a brush more often. It does not have to be every day, but I would like people to think about leaving their phones behind and just hold a brush or pencil to express themselves! The moments I used to paint the dogs were the moments I spent on becoming myself and self-expression. I want people to see that and for people to almost feel like they can visualize me painting each piece. Almost as if they can see me moving my arm with each brush stroke or splash of the ink. The paintings’ purpose may not even be about the subject anymore but about the brushwork and movement. Do you have any upcoming projects or shows in the works after this series? Yes, I do. I worked on an optical illusion Chinese painting series that’s not on my website yet. When you look at the birds and flowers, the leaves are forming a face or if you look at two eagles standing on a branch it’s actually a scowl. Though after playing with the dog series, now what I enjoy doing is large scale brushwork so I think i’m going to keep painting these animal styles and adding more to the Abstract Ink Painting Series. I want to continue the dog series with dogs dancing with each other or something. I really like greyhounds because they look so elegant and almost like deer instead of dogs so I might explore that. Discover more works from Anita Wong as well as upcoming shows or exhibits via her website and Instagram.